When they started the award in 2010, there were approximately 200 sponsored children eligible. Now, close to 1,000 are attending the ceremony. Juan made it his goal to win the Education Excellence Award. He’s no stranger to awards. Last school year he was recognized as the best student in his grade level. He’s not the only smart one in his family, though. He must have picked up a thing or two from his mother, Alicia. She’s in pursuit of academic excellence after being receiving a scholarship from Unbound. She is studying educational psychology. 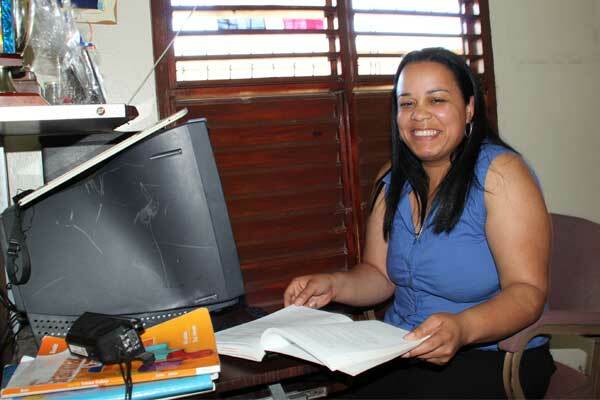 After graduating high school and starting her own family, Alicia maintained a deep desire to go back to school. She learned more about Unbound through part-time work at a parish and found out about the scholarship program. “There are 29 members. This is probably the largest group in the area with the longest name,” Alicia quipped. And through her scholarship she has the chance to give back. Alicia at home with her computer which was donated by a local parish. 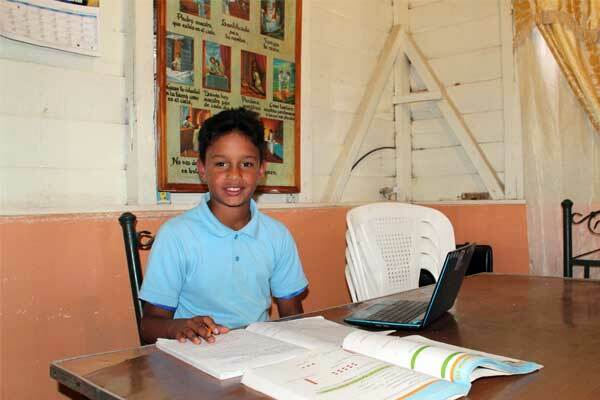 Leading by example, Alicia is showing Juan how important education is and the dedication it requires to do well. At the end of the day, Alicia wants what most mothers want for their children. With all of their academic achievements lately, it looks like this family is doing something right. Donate to Education today and help another mother go back to school.